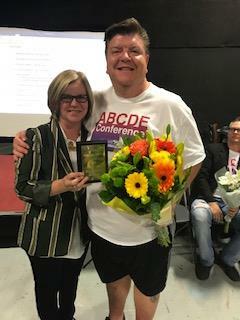 This award is for an exemplary teacher and ABCDE member. It may go to anyone who teaches K-12 and incorporates Drama in and beyond the classroom, such as touring shows to other schools, going to see other people's theatrical work, having professionals in the school working with students etc. This award is for an individual who is an advocate for Drama in B.C. schools and whose work reflects the policies and goals of ABCDE. This award could go to administrators, university instructors, community members, parents, professional individuals and companies etc. If the winner of this award is a current or past member of the ABCDE, they will receive a Lifetime Honorary Membership as part of their award. 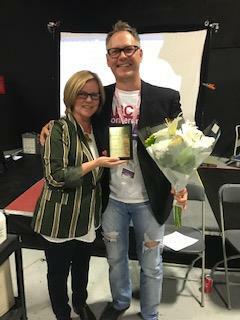 This award is for a member or supporter of the ABCDE who has shown outstanding work in the field of Drama as an excellent teacher of students, an advocate of arts education, and as a facilitator and teacher of other teachers. Please consider nominating a worthy Drama Educator in B.C. Click here for nomination forms for all three awards. Deadline for nominations for next year is September 30, 2019.